A Serif font is a font with embellishments that hang off of letters, where as a Sans Serif is a font without. Google’s logo is an example for a Serif font as you see the “G”, “g”, and “l” have those extra ticks. Serif fonts are great when used in actual print and as eye-catching header text! Bitter may be the most well-known font on this list. It is a part of the Google Web Fonts project, meaning you can actually easily use it on your website! 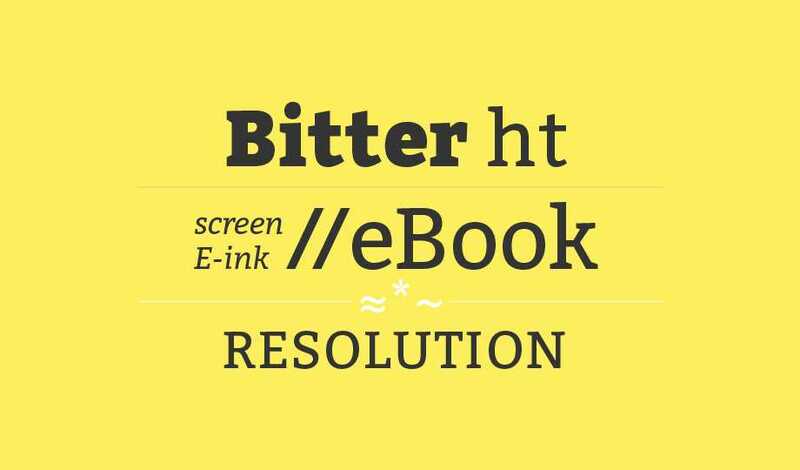 Bitter was gorgeously designed by Huerta Tipografica to be used by eBooks. Fritz is a thin Serif font created by FontArk as an example font from their online font editor. 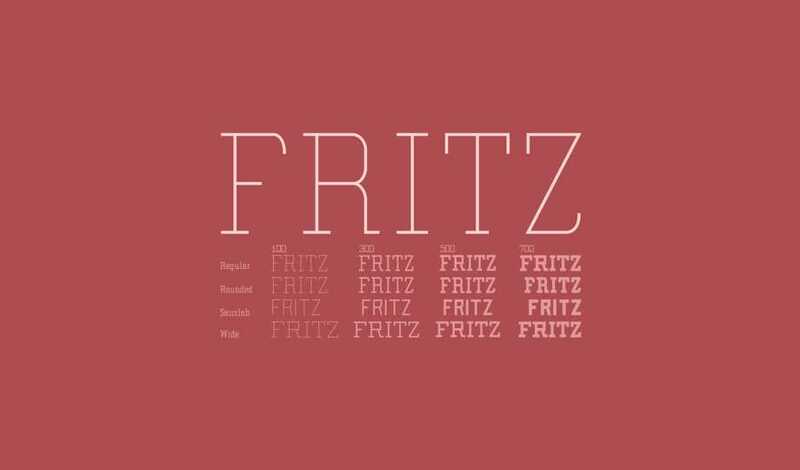 Fritz comes in a few variations and weights that make it perfect for multiple uses from advertising to illustrations. 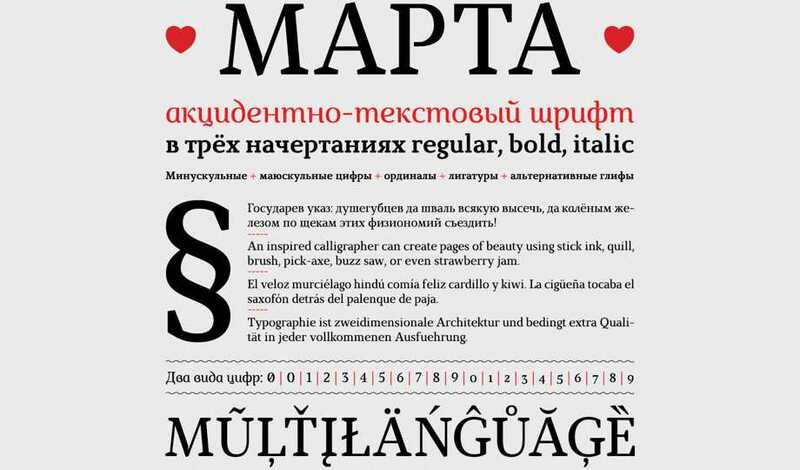 Marta is wedge (one side can be thicker than the other) Serif font designed by Michael Chereda. As you can see if has a very vintage, Russian feel to it. This makes it great to use in any design that features a retro or foreign theme. 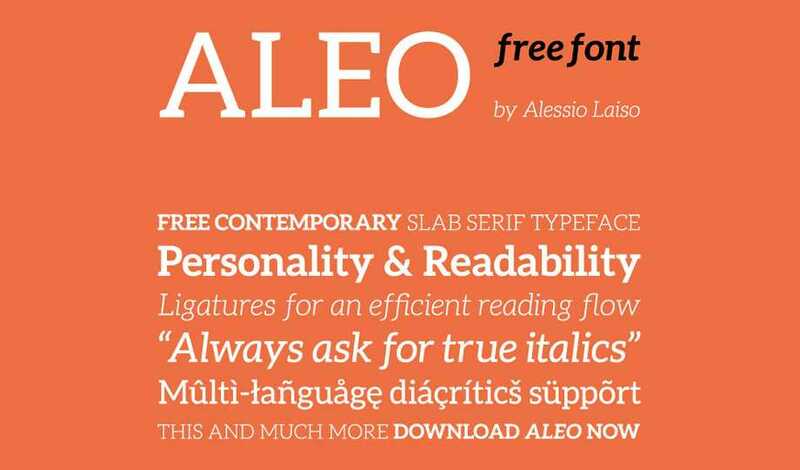 Aleo is a slab (thick) Serif by Alessio Laiso (that name flows beautifully by the way). Aleo is the perfect Serif that would look good on typography posters and other print. Born is labeled as a humanist typeface by it’s designer Carlos DeToro. The reasoning behind it is because it’s the story of him moving to a big city and embracing the culture. Thus Born features a twist on calligraphic forms. It’s a typeface based on a life story that can be published in its font – genius! This smooth Serif comes from Frances MacLeod as part of the Lost Type Co-Op project. 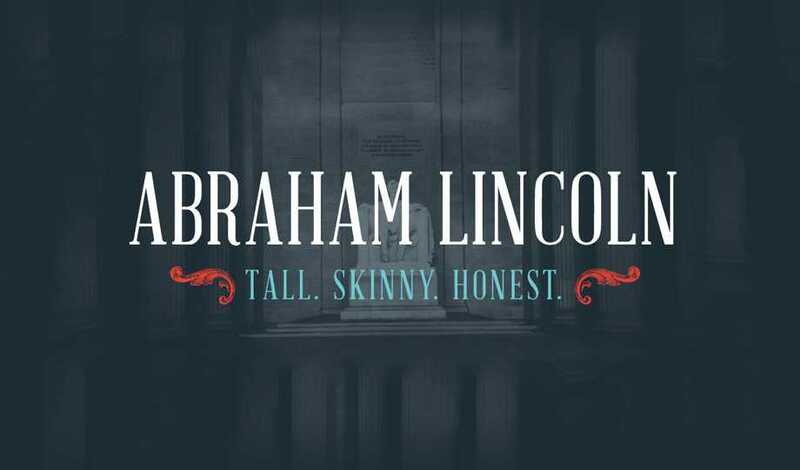 It’s appearance seems to describe Abraham Lincoln himself – tall, skinny, and honest. This font reminds me of something you may see on a certificate or ticket for some reason. I love it though! Arvo is another font that’s involved with the Google Web Fonts project designed by Anton Koovit. Arvo is the perfect slab Serif that can be used in a multitude of projects. I’ve used it on a few flyers as header text. 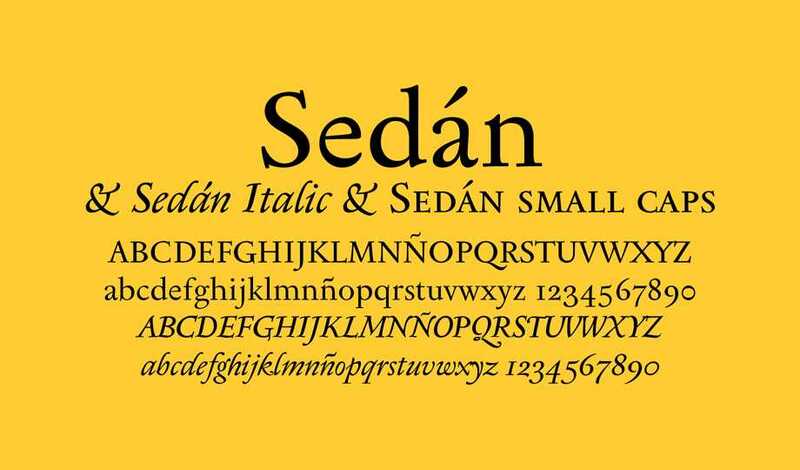 Sedán is a Serif font designed by Sebastián Salazar that could rival the educational-standard, Times New Roman. I believe it has more flavor and would succeed in the similar uses for print and papers. Though where Sedán differs is at large sizes it could make some killer header text. 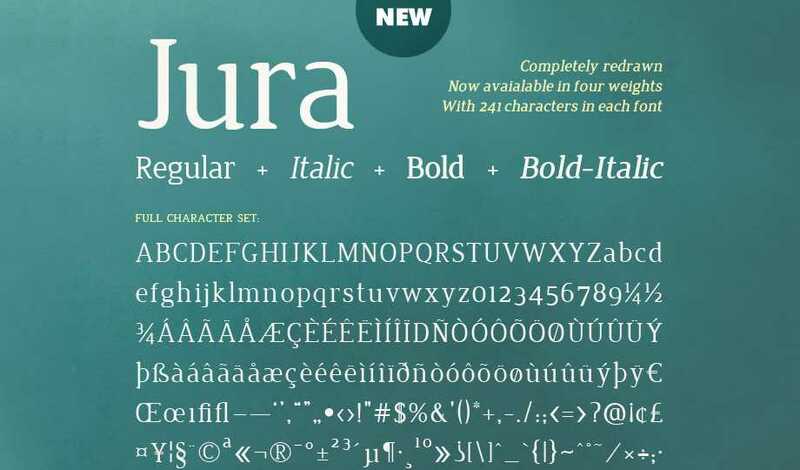 Jura is a beautiful Serif by Ten by Twenty. The example on it’s download page shows that Jura makes the perfect Serif for header text and pull-quotes! 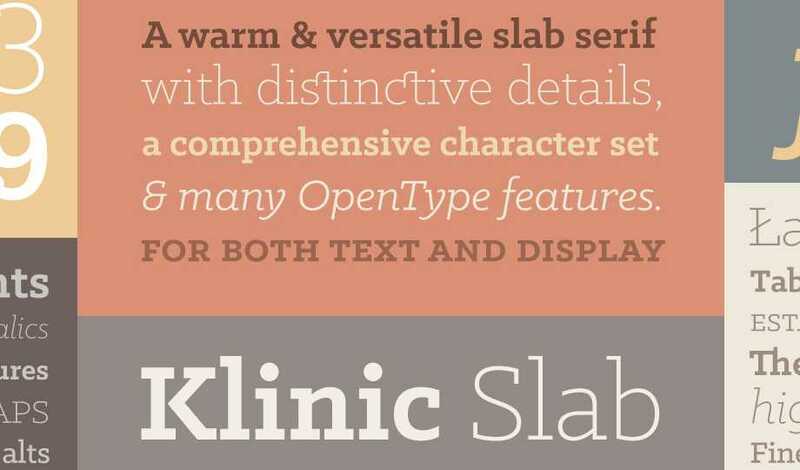 Klinic Slab is another slab Serif coming from the Lost Type Co-Op by Joe Prince. Klinic Slab is a versatile Serif that can be used on many different mediums from flyers to logos. 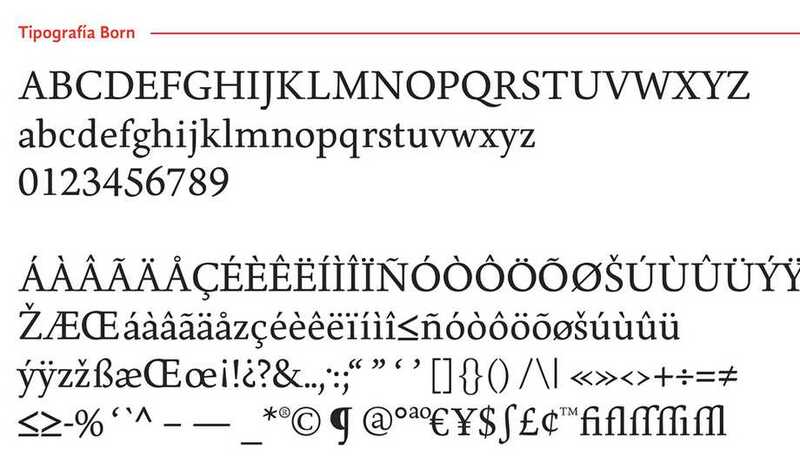 Also the italic version of the font transforms it to a whole other typeface to be used. All fonts above are free for personal use, some are also free for commercial use. It is best to check licensing before using a font for commercial use! 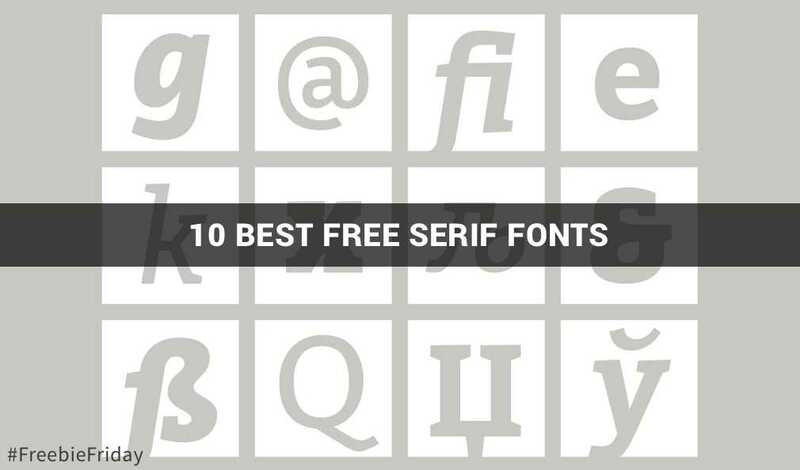 What do you these 10 best free Serif fonts!? What would you like to see featured in future Freebie Fridays? Let me know in the comments!